Dogs are precious companions to humans and need our care. There are times when our dogs may not be at their healthiest and are suffering from various health conditions. Dogs have evolved living alongside humans. One result of this is that they can now live longer than ever thanks to modern technology. Different breeds are susceptible to different disorders, many of which can be reduced with human-made CBD health products for dogs. Cannabidiol (CBD) is a recently developed health food concentrate that can alleviate many of the symptoms of many ailments. 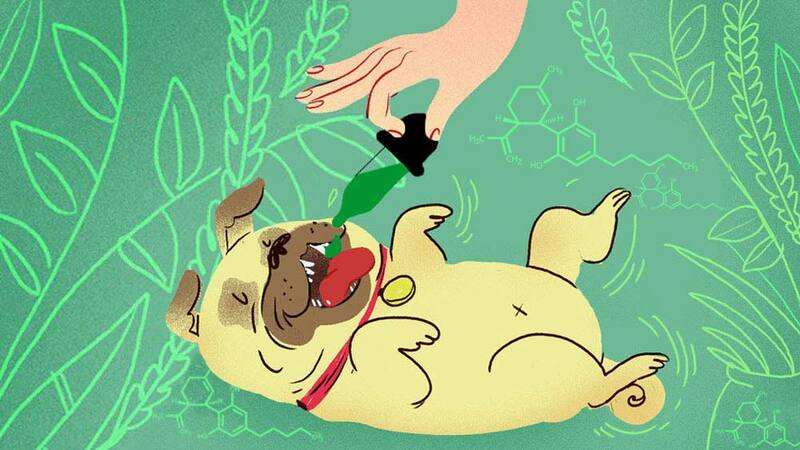 CBD works the same for both humans and dogs, though dosages vary. So it’s good too and you can give your dog human CBD oil. What Effect Does Giving Human CBD Oil To Dogs Have On Them? Contemporary studies in biochemistry have revealed that CBD has at least 50 different mechanisms of action. This means that it works in at least 50 different ways in the mammalian body. As a result, CBD is also referred to as a multi-target therapy. That means that as a medication it can target multiple symptoms. For example, CBD treats pain as well as the underlying disorders that cause pain (most frequently inflammation). CBD is a natural and safe treatment option for a wide variety of conditions. This is because CBD benefits so many processes in the mammalian body. You can give dogs human CBD oil because it works the same as giving them pet CBD oil because they have an endocannabinoid system in their bodies. These are located in the central nervous system consisting of the brain and spinal cord. Most commonly located in the various parts of the immune system, including the cells and organs. The ECS is an important system in all species of mammals. This includes humans and dogs who can both take human CBD oil. This also means that humans can take pet CBD. The endocannabinoid system is responsible for governing pain responses, the immune system, the nervous system, sleep cycles, and the digestion of food in the mammalian body. CBD belongs to a class of chemical compounds known as cannabinoids. These are chemicals that react to cannabinoid receptors throughout the body. If a cannabinoid occurs naturally in the mammalian body, it is known as an endocannabinoid. If it is a plant extract, like CBD is, then it is known as a phytocannabinoid. CBD comes from the marijuana plant. CBD oil comes from glands in the marijuana plant known as trichomes. This plant is also known as cannabis or hemp. Marijuana plants have over 80 different phytocannabinoids. This includes tetrahydrocannabinol (THC), which is the most widely known cannabis derivative. Unlike THC, CBD does not have any psychoactive properties and doesn’t cause intoxication. CBD avoids these problems entirely. CBD can be given to dogs whether it is meant for dogs or if it’s human CBD oil. Inflammation is an immune response in the mammalian body. It occurs when the immune system attacks an area or substance that it deems is a threat. Heat, swelling, redness, pain, and a loss of function are common symptoms of inflammation. CBD has powerful anti-inflammatory effects and is particularly effective when administered every day. Sometimes the mammalian immune system attacks itself and causes inflammation in otherwise healthy body parts. This is known as an auto-immune disorder and arthritis falls under this category. CBD alleviates the aches and pains associated with arthritis and also decreases the underlying inflammation that is causing the pain. It effectively targets the pain at the source. Dogs are more likely to develop cancer because they live longer now. There are multiple kinds of cancer that can affect various parts of the mammalian body. CBD is a natural immune system booster, making it effective at preventing the development of cancer. It reduces the various symptoms of the disease as well as the side effects from surgery, chemotherapy and radiation therapy. CBD’s interactions with the mammalian endocannabinoid system make it effective at treating anxiety. 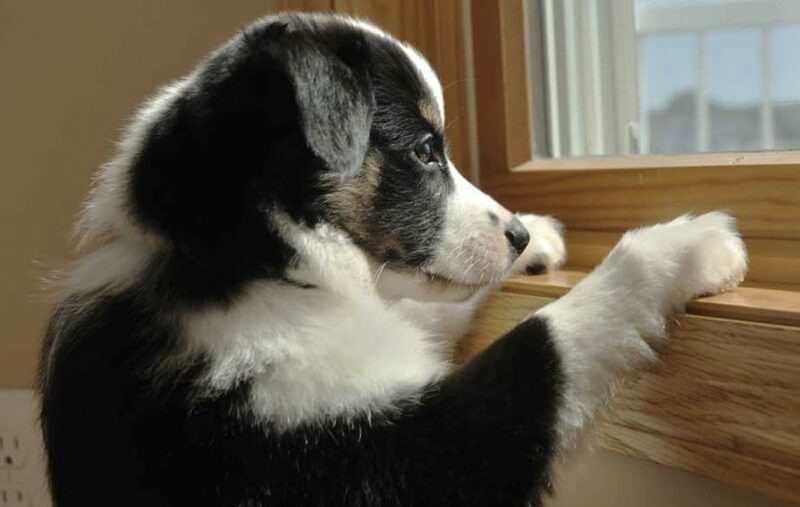 Dogs can experience anxiety for a number of reasons. These include separation anxiety, the presence of stress-causing factors like fireworks or trash trucks, and chaotic home environments where the dog ideally remains calm. CBD alleviates anxiety by interacting with the endocannabinoid system to produce higher levels of a compound known as anandamide. This is referred to as the “bliss molecule” and chemically creates a sense of well-being in the animal. Much like cancer, there are certain diseases in dogs that arise due to their close relationships with humans. This includes obesity-related disorders such as diabetes and heart disease. CBD stabilizes blood sugar levels, thereby decreasing the likelihood of diabetes developing. It also promotes a healthy heart by increasing levels of “good” fat and decreasing levels of “bad” fat. CBD can also stabilize a dog’s appetite. CBD has profound effects on the nervous system and the muscular system in mammalian bodies. Because of this, it can effectively help manage seizure disorders, a common condition in dogs. CBD also decreases muscle tremors and spasms. The crucial difference between administering Human CBD to dogs is the dosage amounts because humans are heavier and need more. It is also important to consider what kind of CBD product to give to your dog. Related Article: How Much CBD Oil Can I Give My Dog? These come in bottles of various sizes (usually 150, 300, or 600 milligrams). A tincture is the most basic form as it is just CBD oil and hemp seed oil. The bottle comes equipped with a dropper that allows the owner to administer a number of drops to the dog. The best way to give dogs CBD oil is in their dog food or getting it directly into their mouth. These are also available in bottles of various sizes (150, 300, or 600 milligrams). For the 150 milligram bottles, a single capsule has 5 milligrams. A 300-milligram bottle has capsules that are 10 milligrams. A 600-milligram bottle has capsules that are 20 milligrams. Blueberry sweet potato for heart and immune support. 0.25 milligrams for every 1 pound of bodyweight. This is a regular dose, most frequently given for overall health and wellness, minor pain, minor digestive issues, appetite stimulation, minor anxiety, and overall old age. 0.5 milligrams for every 1 pound of bodyweight. This is a strong dose, most frequently given for more serious and chronic pain, serious arthritis, epilepsy, and related seizure disorders, various kinds of cancer, severe nausea or vomiting, and serious anxiety. Dosage amounts should fluctuate based on how the dog reacts. Most veterinarians will advise that owners start at a lower dose and then work their way up. 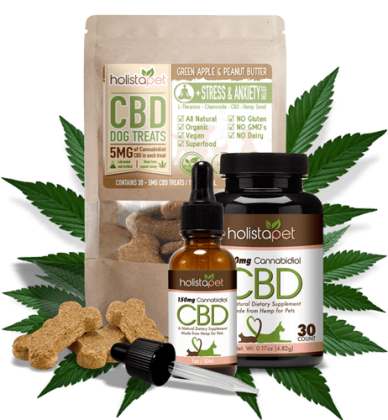 Even though CBD is an incredibly safe supplement, companies like Holistapet subject their products to rigorous testing. Holistapet partners with a third party testing facility to ensure that its CBD products are 100% safe and potent. This is to ensure that the products have the proper dosage amounts. By controlling the potency of the cannabinoids in the products, dog owners have the assurance that they can safely and most effectively regulate treating their pets. Various cannabinoids are tested in each batch, including CBD and THC as well as cannabidiolic acid (CBDA), cannabichromene (CBC), cannabigerol (CBG), and cannabinol (CBN). Because cannabinoids are byproducts of the cannabis plant, it means that it has to grow like any other crop. Unfortunately, pesticides are part of many farming operations. All Holistapet products undergo testing to confirm that they are 100% organic with no pesticides in them. This ensures that your dog will get a totally natural and safe supplement. Holistapet does not extract its own CBD, but it instead sources it from industrial hemp producers in Colorado. Therefore, products must undergo testing so that no toxins or harmful chemicals are present in the final product. These tests are done by impartial, third-party companies and are called certificates of analysis or COA’s. 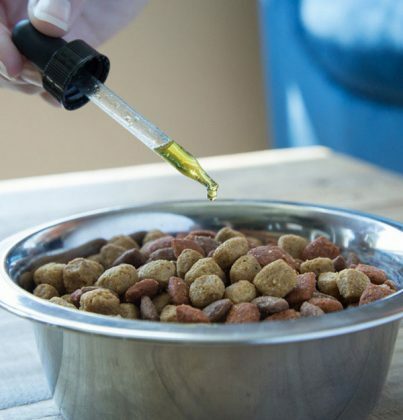 Human CBD oil and pet CBD oil work the same for dogs and CBD can be ingested in a variety of ways that may or may not require you to be sneaky to administer to your dog. 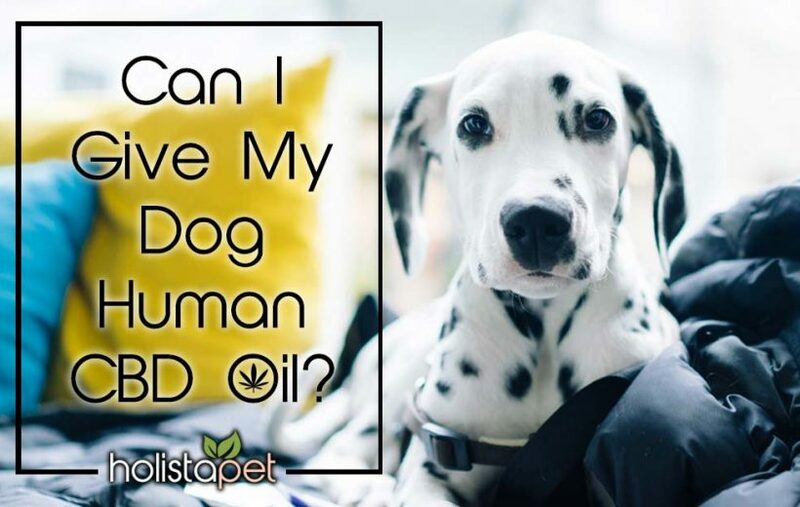 It’s good to give your dog human CBD oil, especially if its human CBD oil that is in higher dosage amounts, even up to 3000mg per 1oz bottle because humans are generally heavier than dogs and need more. You would just use less CBD oil compared to giving them regular pet CBD oil.